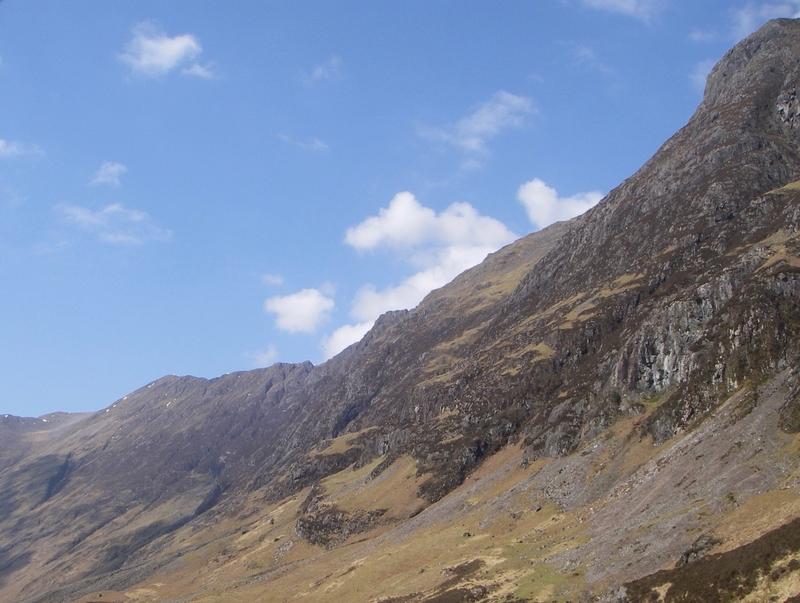 SAIS Glencoe Blog » Another fine Spring day. 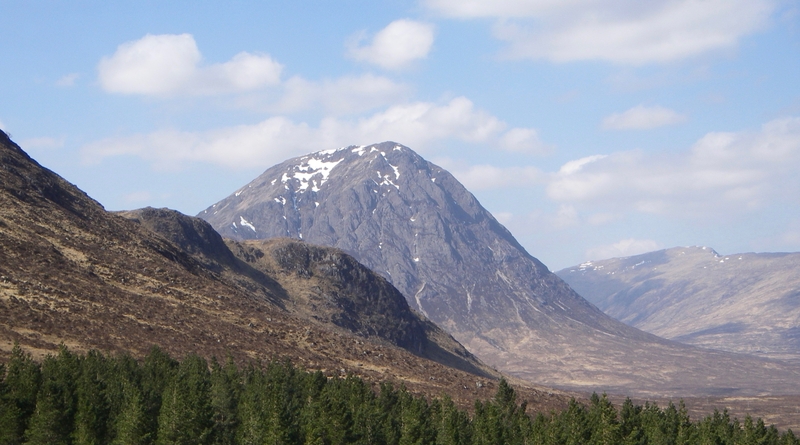 It has been another great day here in Glen Coe and it looks like there is more to come over the next few days particularly for the Western areas. Looking Northwards from Meall a Bhuiridh, Ben Nevis left of centre. 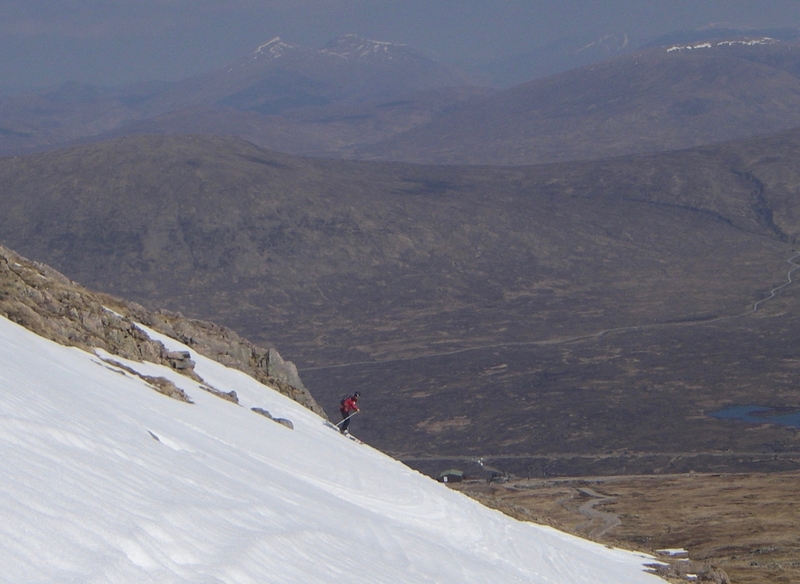 Meall a Bhuiridh skiing out of the Flypaper. 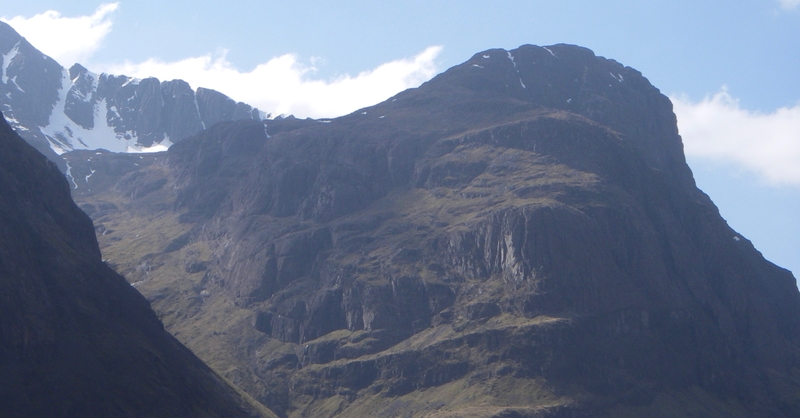 Coire nan Lochan left, Aonach Dubh right. 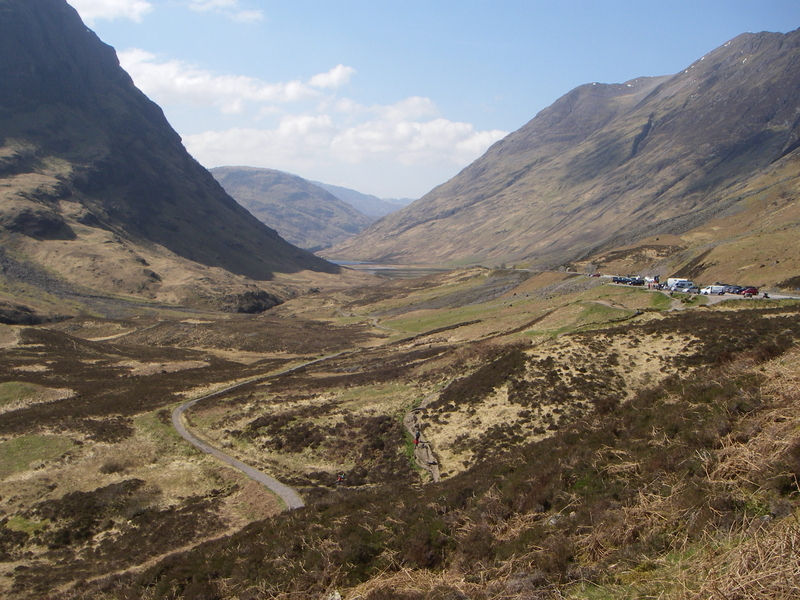 General view looking West down Glen Coe, old road visible on the left.